Clear all jellies and reach 560000 points to complete the level. 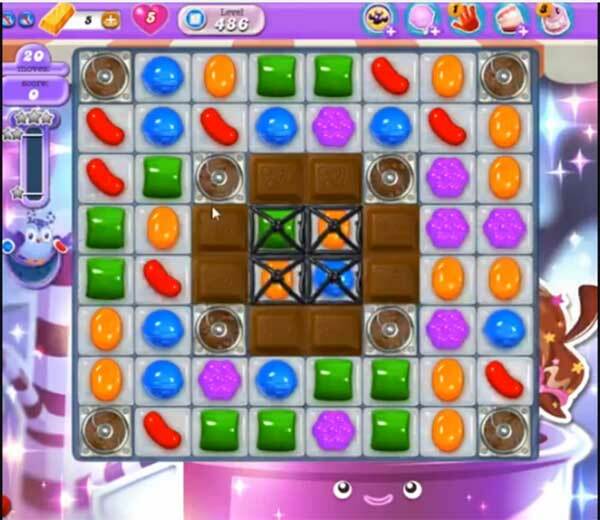 This level has easy difficulty and you need to play near to chocolates to break them. After try to make colorbomb by combining five same color candies and combine color bomb with striped candy or any other special candy to break more jellies. Or use special combos in moonstruck that you will get from 17 to 15, 12 to 10, 7 to 5 and 2 to 0 moves remaining. Try to use in moonstruck more special candies to reach the requirement with balancing the Odus owl.